LG may be about to get back into smartwatches with an unusual new model rumored to be called the LG Watch Timepiece. The watch won’t be like LG’s previous smartwatches, or any other models available either, as a leak describes it as having both a touchscreen that displays Google’s Wear OS, and a set of analog watch hands. If this is accurate, the Watch Timepiece will create its own space alongside other hybrid smartwatches, although likely without the battery benefits we enjoy from smartwatches that don’t have a screen to power. Sadly, a picture of the watch has not been shown yet, leaving it down to our imagination what it will look like, but specifications have been leaked to Android Headlines. A 1.2-inch screen with a 390 x 390 pixel resolution — the same spec fitted to watches like the Tag Heuer Connected Modular 41 — shows Wear OS, while the physical watch hands can also show the time, along with indicating compass direction, barometric pressure, altitude, and work as a stopwatch. The face will need a hole in the center for the watch hands, and the case will presumably need to contain some kind of watch movement, along with the chip, battery, and additional technical hardware. The rumor says the body will be 45mm wide, and 13mm thick. 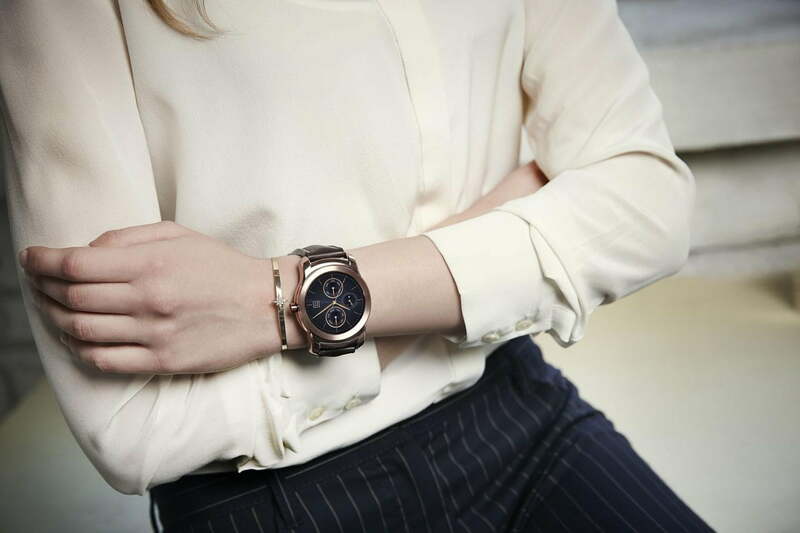 Outside of the touchscreen and watch hand combination, the Watch Timepiece has a relatively familiar Wear OS specification, including the Snapdragon 2100 platform, 768MB of RAM, 4GB of memory, Wi-Fi, Bluetooth, and motion sensors for fitness tracking. A heart rate sensor isn’t mentioned, but it’s stated NFC and GPS are unlikely to be included. Two versions are discussed, with a Timepiece Plus model supposedly coming with both a rubber and metal strap, plus an additional charging pad. It’s not certain LG will ever release the Watch Timepiece, or if the rumor is accurate, but if the source is correct it may arrive around the same time as the LG G7 ThinQ, and be put on sale in June. Don’t worry, the bizarre name apparently isn’t final either. The Apple Watch is the dominant smartwatch in terms of sales at the moment, while innovation and exciting design happens in the hybrid space, leaving Wear OS watches languishing somewhere in-between, with little direction. The prospect of seeing something new, from a manufacturer that really got smartwatches right early on, is an interesting one. We’ll keep you updated on the LG Watch Timepiece right here.